The following content shows the frequently asked questions and answers about the filter press.if your questions still not solved,please feel free to contact us! What kind of filter press do you manufacturer? What’s the filter press operation procedure ? 1,Press the start button on the control cabinet,then the filter press will start work and the filter plates will be pressed.when the pressure reached 2.0Mpa (some applications can reach 3.0 Mpa) the pressing will stop automatically . 2,Start the feeding pump,when there is less and less water comes out the filter plates,it means the filter chamber is full of filter cakes,then stop feeding.during this time,the pressure gage on the feeding pipe is increasing from 0-0.6 Mpa ,while the filtrate flow will decrease significantly. 3,Wait for about 1 minute,pull back the filter plates to discharge the filter cake. 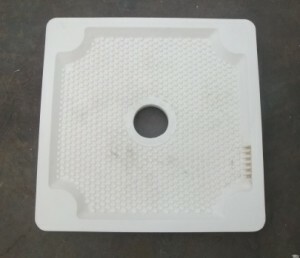 How to install the filter press ? It is easy for the filter press installation and pumps connection. We will install the filter plates on the filter press and install the filter cloth on filter plates when delivery,and what all you need to do when receice the filter press,just connect the control cabinet to filter press and connect the hydraulic station to filter press is ok.we will send installation manuals and installation videos together with delivery of the filter press. We can also arrange our engineers go to the application site if you need. What’s the difference between plate & frame filter press and recessed filter press? 2,Usually plate and frame type filter press can get better filtrate clarity and recessed type filter press can get better solids recovery. How ofen should i change the filter cloth? For different kind of filtering materials ,the lifetime of the filter cloth is also different,while generally speaking,it can be used for about 1-12 months. How to choose suitable filter cloth for my filter press? 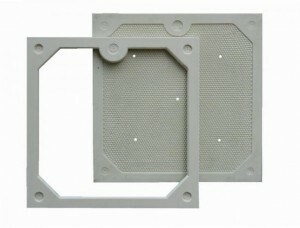 Please contact us for detailed parameters of these filter cloth models. For your detailed applications or questions,welcome to email us at [email protected] ,our technical department are ready to offer you the most professional solutions.